Blend of high quality protein with a high bioavailability. Dymatize comprises a whey protein isolate, ultrafiltered whey protein concentrate and whey peptides. Ideally suited to a nutritious source of protein! 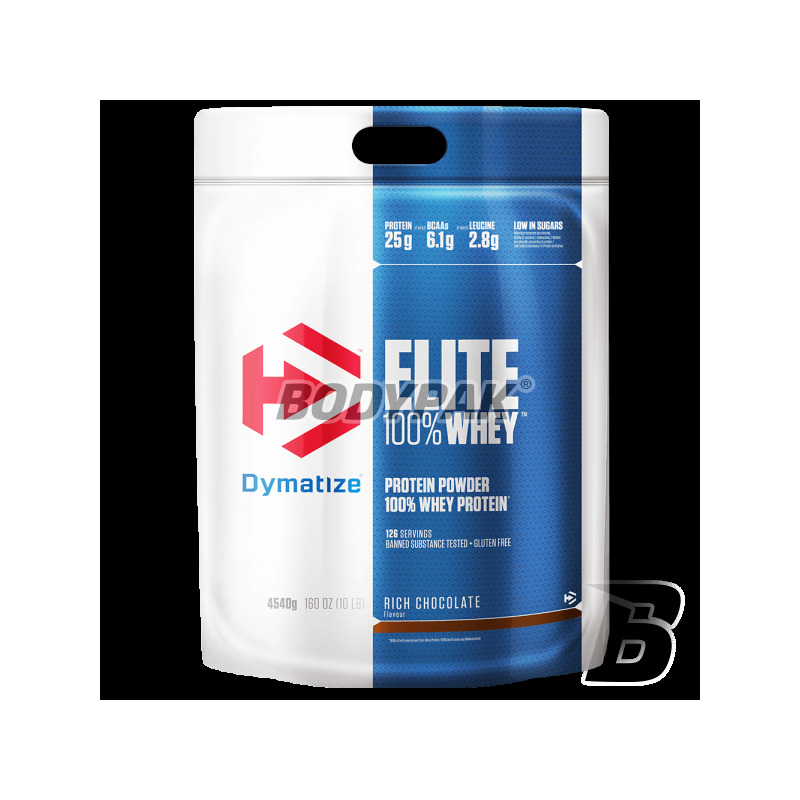 Dymatize Elite Whey Protein is a blend of high quality protein with a high bioavailability. Dymatize comprises a whey protein isolate, ultrafiltered whey protein concentrate and whey peptides. ZYTRIX® - is patented an enzyme that improves the human digestive system in the direction of better assimilation of proteins from the small intestine. The protein consists of 22 amino acids. ZYTRIX® helps to breakdown proteins into free amino acids and peptides, which greatly accelerates the absorption and digestion. This action effectively reduces the time required to increase the aminogram in the blood stream after ingestion of the protein portion! Appendix ZYTRIX® excels among people who are allergic to milk sugar - lactose. If you have difficulty digesting milk, you should choose supplements containing protein or AMINOGEN® ZYTRIX® (the same ingredient - a different trade name) or other enzymes to facilitate the digestive process. Elite Whey Protein contains approx. 40 mg of the sum of all additions of enzyme which is sufficient when it comes to comfortable digestion of proteins. 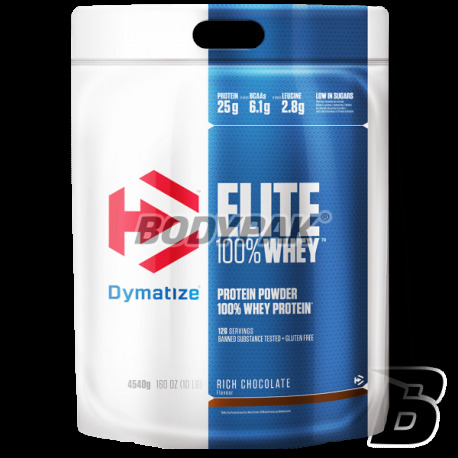 Dymatize Elite Whey Protein helps build lean muscle mass, accelerates postprandial regeneration and prevents catabolic processes, which so adversely reflect on the amount of muscle tissue. ELITE WHEY PROTEIN - IS ESSENTIAL BASIS SUPPLEMENTATION any athlete's training, speed strength-DISCIPLINE! DO NOT YOU FORGET ABOUT IT! * Weight may vary depending on the taste. Składniki: Whey Protein Blend (koncentrat białek serwatki, izolat białek serwatki, hydrolizowany koncentrat białek serwatki), polidekstroza, kawa brazylijska, naturalne i sztuczne aromaty, chlorek potasu, lecytyna sojowa, kakao, sól, kofeina bezwodna, stabilizatory (guma celulozowa, guma ksantanowa, karagen), ZYTRIX - mieszanka enzymów (proteaza, laktaza, lipaza), acesulfam K, sukraloza, ekstrakt z liści stewii.